While wading through tedious online football news feeds today in search for some subject matter that differentiated even slightly from the big question, ‘who will Woy take to Bwazil?’, I stumbled across a much needed and brutally honest shot in the arm from the When Saturday Comes archives. As an avid reader of football books, particularly those recommended by WSC, my eye was drawn to this latest offering, salvaged beautifully from the back catalogue of the popular off-the-wall football magazine’s review section. My eyebrows raised in disbelief when the book in question for this review was an autobiography (of sorts) from smarmy former Soccer AM host, Tim Lovejoy. 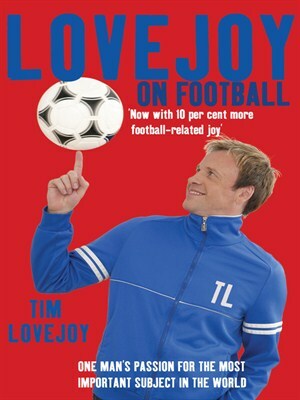 Yes, that classic paperback that all football hipsters just couldn’t do without, ‘Lovejoy on football’. My heart sank for a brief moment, had WSC sold its soul to the devil? Endorsing something straight from the quill of a patterless John Terry-lover come cooking show host is tantamount to a golden handshake with Lucifer himself in the eyes of any football fan with even half a brain. Thankfully, the true nature and purpose of the book review sets in early on. Phew. I doubt even if Shakespeare had been around today, (and happened to share a fondness for the beautiful game), he’d have found a more encapsulating and accurate few lines of prose to portray the sheer piffle that Lovejoy puts across when discussing football, or anything else for that matter. The delightfully savage review, in all its glory can be read here. If you’re looking for the perfect birthday or Christmas present for that thicko football fan you so unfortunately have to endure through family or work commitments on a regular basis, then look no further. 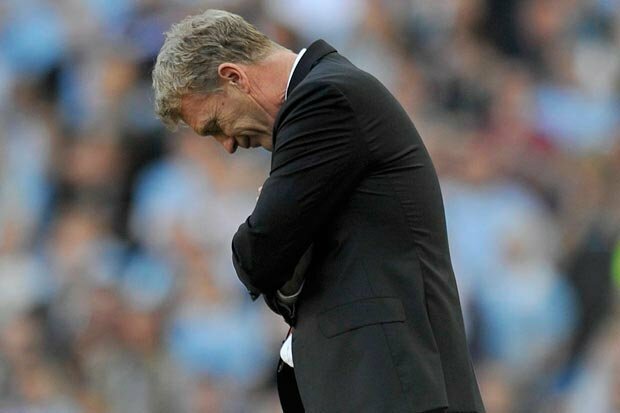 In the modern day soap opera that is football in this country, fans have learned the hard way that everything that comes out the mouths of players and managers should be taken with a pinch of salt. One day a player can be your hero; the next, he’s the enemy. 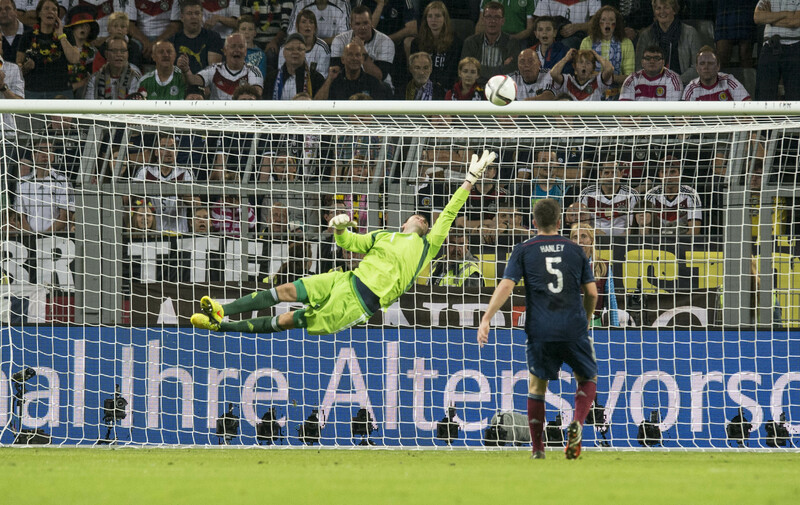 Football by its very nature is a fickle beast. 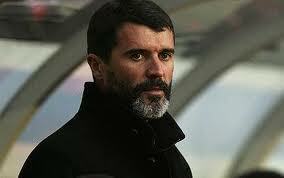 There’s an element of showmanship and bravado from players and managers around transfer window time, that’s a given. When I read Joe Ledley’s parting comments about his ‘beloved’ Celtic, I did begin to wonder if he managed to articulate them with a straight face. After a tedious potential contract extension saga, Ledley packed his bags, leaving the Champions League behind, opting instead for a relegation dogfight at Tony Pulis’ Crystal Palace. The Welshman was quoted as saying he, “didn’t’ want to leave”, before subsequently doing so. Players come, and players go, but are the supporters in this country perhaps guilty of naivety when it comes to choosing their heroes? When it comes to the affections of the fans, Ledley was debatably the most popular player in the squad. In years gone by, a hero at a big club was defined by sublime ability and unwavering loyalty. Does Ledley fit this mould? The likes of Paul McStay and Lubo Moravcik stayed at the Parkhead club until the end of their playing days. Italian giants Fiorentina moved for Artur Boruc, and it took the lure of Barca to prize a tearful Henrik Larsson from Parkhead. Celtic fans seem only too happy when a player moves on for a bigger opportunity; but perhaps some of them should grudgingly admit that to lose a player like Ledley to a smallish English Premiership club like Crystal Palace does leave something of a bad taste in their mouths. Don’t get me wrong, Ledley was a terrific talent. A dogged, professional midfielder who rarely looked out of place at the highest level; but he was also reportedly the highest paid player in the squad (alongside Scott Brown), so he was well looked after, and enjoyed the adoration of the fans. The new Palace signing seems to have been a likeable, honest character who wouldn’t say a bad word about Celtic or anyone at the club. That said, it sadly looks as though Ledley’s raison d’être is to make as much money as possible in his career, rather than chase silverware. It’s clear that Ledley ran down his contract at Cardiff to secure a big wage at Celtic, and ran down his contract at Celtic to better position himself for a move to Crystal Palace. Given the phenomenal sums of money that are thrown at top players these days, it’s hard to judge them. These guys are people too, they’re not made of stone, and it takes a lot to turn down an increase of several thousand pounds per week (and a rather juicy signing on fee). Although players like Ledley shouldn’t be emotionally crucified for chasing money instead of trophies; they shouldn’t be held in the same high regard as the real heroes of yesteryear either. 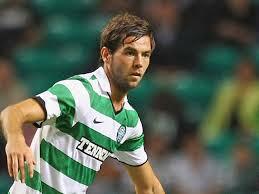 Ledley gave a good account of himself at Celtic, but was paid handsomely for it, and is in no way irreplaceable. His dignified and professional approach to his on the field exerts will ensure his lasting memory at Celtic Park is a positive one, but as far as hero status is concerned, he’ll always be left short. In every crisis, there is opportunity, and with every big player that’s left a big club in Scotland, scope for an even greater player to fill his boots is created. Shed no tears Hoops fans. A top earner has left, and the next chapter of your glorious club is ready to be written. Is it time to kick-start a support network for ex-Celts? Thanks to the boom & bust world we live in, all too frequently we’re hearing of people from all walks of life falling on financial hard times. At the tail end of last week, we learned that even former Celtic superstars aren’t exempt from this peril. When the news broke that Jorge Cadete is now flat broke, moved back in with his parents, and living on benefits, I felt saddened. As a Celtic fan, I remember Cadete’s playing days fondly, but I was shocked to see an element of the Hoops’ support reacted bitterly towards his misfortune. Comments on blogs and social media sites showed that there is a contingent of Celtic supporters that feel the manner in which Cadete left the club in some way justifies the player’s hardship now. This is not the Celtic way, and I’m beginning to think that the club (both fans and officials) should look to create a support network for ex-players. 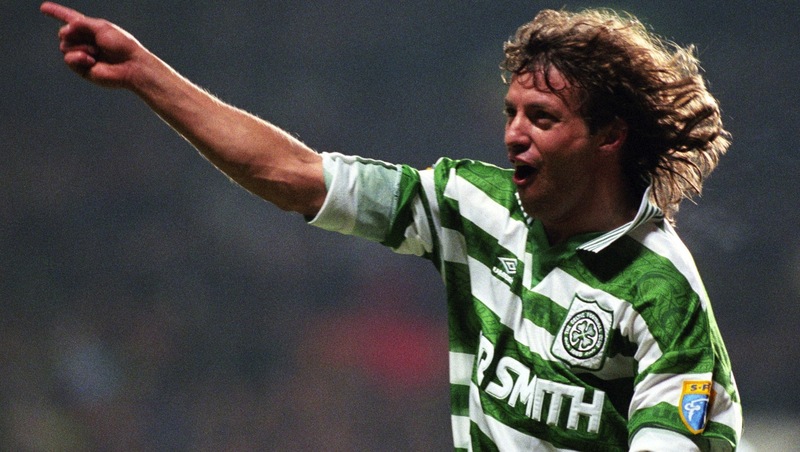 It was the late, great, Tommy Burns who brought Jorge Cadete to Celtic, back in the mid 90’s. Burns inherited a wounded Celtic who were limp competition to a dominant high spending Rangers side. The fans suffered through the disappointment and turbulence of the Brady and Macari years, but Burns injected hope and excitement back into Celtic with a flamboyant style of play, and by attracting players with the boisterous dynamism of Jorge Cadete. The fact that this period yielded limited silverware seemed almost insignificant at the time, as our beloved Celtic were back, scoring goals, playing lucid, attacking football, and for the first time since the late 80’s, challenging a stellar Rangers side. The Portuguese international came off the bench to net the fifth in a demolition of Aberdeen at Celtic Park, and went on to net 34 times in 44 appearances the following season. Cadete was easily the most exciting Celtic striker since the days of Brian McClair and Charlie Nicholas. Complete with iconic spaghetti haircut and unmistakeable celebration, and goals-a-plenty, Cadete soon became a hero. I appreciate that the nature of Cadete’s departure at the time left many Celtic fans feeling a bit raw and generally let down, so it’s understandable that some might want to stay detached from his unfortunate circumstances. I also appreciate that it’s a players responsibility to manage their money responsibly during their career. That said, it has made me ponder about what clubs can do, in particular, Celtic. Wouldn’t it fit perfectly within the ethos of Celtic to put in place a structured support scheme to guide and support former players who’re in danger of falling on hard times? By this I don’t mean writing cheques to further line their pockets, but investment advice, emotional support and an ongoing relationship with the club that could mutually benefit Celtic, the fans, and the former player. The subsequent years since Cadete’s time at the club have been joyous for the most part. The magic of players like Cadete and managers like Burns played a huge part in the evolution of the club, a part that we must never forget. Without question there have been thousands of Celtic fans down the generations who’ve carried the charitable/goodwill torch for the club with unconditional service. There are too many legitimate examples of this to mention, and that in the main remains intact. My concern is that there is a growing undercurrent of the Celtic support being selective. In my opinion I sense there is a ‘pick & choose’ mantra amongst the Celtic diaspora of which ex Celts receive our support . Celtic Football Club, and the fans are relentless in broadcasting our proud all inclusive charitable ethos. The mixed response to Jorge Cadete’s sad news however conflicts with that notion. There is a long list of ex-Celts whose careers at Paradise have maybe ended awkwardly, or where they have been a shade economical in engineering a sharp exit down London Road for more money elsewhere. Yet for reasons that remain unclear, these individuals seem immune to any criticism or hard feelings from the support. Without sounding like some idealistic moral crusader, I believe these servants to the club deserve a support mechanism. Making initial support, training, and professional advice available for them would show the football world that we genuinely are what the morally rich club that we say we are. The relationship between the fans and the players we take on as heroes is a true loyal bond that stays with us for the entirety of our existence. If Celtic truly are up there with Barca to be considered as “Més que un club” (More than a club), then perhaps we should start to prove it with gestures such as this one, showing undeniable and unconditional compassionate support.